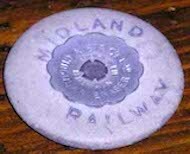 The Midland Railway Staff Index. MR Timetable Finding Aid - a document detailing all the public & working timetables held by ourselves, the NRM and the National Archives. These pages present the results of research by Brian Harringman into the men and women who served at Ashchurch Junction station during the period of 1860 to early 20th century. Ashchurch was (is again) a station on the Bristol to Birmingham main railway line. It is located some 2 miles east of Tewkesbury on the Tewkesbury to Teddington road, currently the A46. The area is now heavily built up, almost an extension of Tewkesbury, with housing and industry. In the nineteenth century it was a village in an agricultural community. A mile to the north was the village of Northway, to the east the community of Aston Cross at a crossroads on the main road, and north of Aston Cross the agricultural village of Aston-upon-Carrant. To the south of the main road and south of Ashchurch itself was Fiddington, with its hamlets of Natton and Homedowns. To the east of Fiddington was Pamington and to the west Walton Cardiff, both agricultural communities. All these places feature in the story of the railway though Ashchurch. 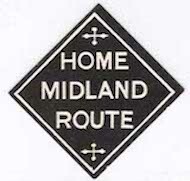 The railway line, which was operated by the Midland Railway, passed north to south, skirting Northway, and passing through Ashchurch and Fiddington. Ashchurch station opened in June 1840 and a branch westwards to Tewkesbury the following month. In the 1860s the Tewkesbury branch was extended to Malvern via Upton on Severn, and a new branch line was opened north-eastwards to Evesham, then on to Redditch. The latter would later be extended to Birmingham. Ashchurch thus became an important junction. A line linking the two branches and passing north of Ashchurch station was later constructed. 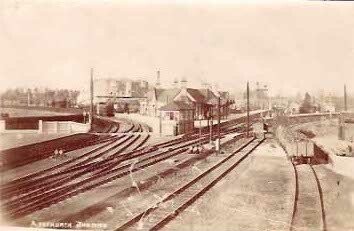 South of the station and to the east of the main line, was a very active goods yard including a goods shed. To the northwest of the station was located a railway provender stores, a large building served by a number of sidings. Beyond the provender store were a stationmaster's house and cottages for railway workers. 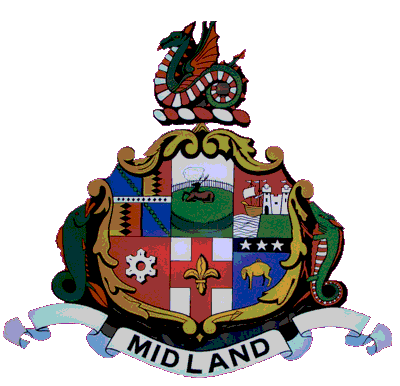 Beyond the period covered here Midland Railway would become part of LMS (London, Midland Scottish Railway) after World War 1, and then part of British Railways after World War 2. Ashchurch station closed to passengers in 1961, as part of the Beeching cuts. It reopened to a limited service in 1997 and continues to operate. There is a comprehensive history of “Ashchurch — a country junction” over on Gloucestershire Railway Memories. The entire site is well worth a visit. The available records show quite a modest number of railway employees at Ashchurch in the early 1860s. An increase during the later years of the decade, particularly of signalmen, coincides with the upgrading of Ashchurch from a simple station to a junction. Additional goods personnel towards the end of the century must be a reflection of increased goods handling. By the end of the first decade of the twentieth century some 87 railway employees were identified living in Ashchurch. Details of most of the station personnel are found in the staff lists of the railway's Coaching Department, others from the lists of other departments (Telegraph for example). There are others not seen in available railway material but who appear in censuses and local documents. Details of the various posts are shown below, and here is a list the sources used. One of the features of Ashchurch, and presumably elsewhere, is the very large number of names that come out of all this. For the non-supervisory grades there is a constant large turnover. Porters, clerks (booking, goods, telegraph) were normally young men, not local, for which Ashchurch was just one of a series of short postings around the network. They stayed for a year or two, often lodging with more permanent staff, and then moved on. Most are not seen in local documents. 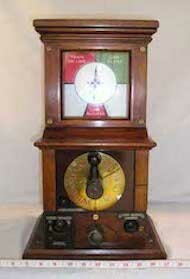 Supervisory grades (stationmaster, foremen) and also signalmen, tended to be older men, married, often with families, and these were more permanent. These also tended to be men from elsewhere. 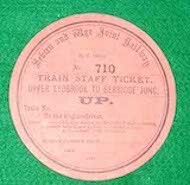 There were also a number of outdoor workers — platelayers, labourers, track inspectors — railway employees but probably not station staff as such. They are seen in local documents and censuses but not in the available railway lists. These tended to be local people, presumably locally recruited, many of whom were born in and who remained in the Ashchurch area throughout. This data has been researched and produced by Brian Harringman. Comments, additions, and especially corrections would be gratefully received.